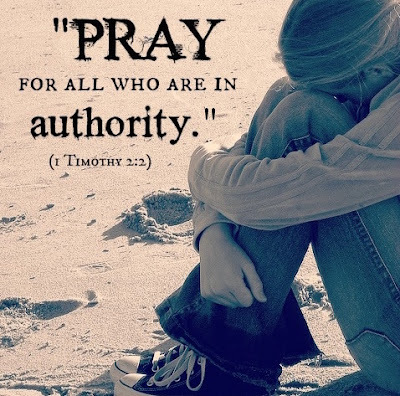 Out of the universal group of 'all men' for which Christians should pray, Paul specifically singles out some who might otherwise be neglected in evangelistic prayer: kings and all who are in authority. Because ancient (and modern) rulers are so often tyrannical, and even disrespectful of the Lord and His people, they are targets of bitterness and animosity. They are also remote, not part of the everyday lives of believers. Hence there is a tendency to be indifferent toward them. Such neglect is a serious sin because of the authority and responsibility leaders have. The injunction here calls for the Ephesian assembly to pray for the emperor, who at that time was the cruel and vicious blasphemer, Nero. Although he was a vile, debauched persecutor of the faith, they were still to pray for his redemption. The request for prayer for kings and all who are in authority is not limited to just a petition that they would be wise and just, but that they would repent of their sins and believe the gospel for the sake of their eternal souls. From those examples we learn that the ancient church, often in the worst eras of persecution, prayed for Christless rulers. If we would influence our society the way earlier Christians did theirs, we must follow their example. We pray for our leaders “that we may lead a peaceful and quiet life, godly and dignified in every way” (1 Tim. 2:2; cf. 1 Thess. 4:11–12). Like the captives in Babylon (see Jeremiah 29:7), Christians are to pray for the peace and prosperity of their rulers, even when they are living among pagans. Christians are not always known as peacemakers in those times in which they live. This was true already during Paul’s lifetime, when Christians were blamed for the burning of Rome. It was also true during the Reformation. Calvin first wrote his Institutes (1536) to show that the Reformers were not trying to undermine the social order. The church’s reputation is in need of almost continual defense, for Christian involvement in public life is often greeted with skepticism, even hostility. This is partly because the gospel is so radical that Christians are always potential revolutionaries. Yet in the face of opposition, God wants his people to keep it quiet. He wants them to lead orderly, dignified, reverent lives in all tranquility and serenity. In the words of the New English Bible, Christians are to maintain “full observance of religion and high standards of morality.” They are to be respectful and respectable. The reason Paul insisted on good deportment is that it is essential to the witness of the church. Christians who do not pray for their political leaders tend to disturb the peace. They are cynical about their political opponents and rejoice when they fall into disgrace. Since cynicism about the government is so prevalent in the church today, we may well conclude that Christians are not always diligent in prayer for people in authority. For as John Chrysostom rightly claimed, “no one can feel hatred towards those for whom he prays.” Prayer replaces hostility with compassion. It is the duty of the state to keep the peace, to protect its citizens from whatever would disturb it, to preserve law and order, and to punish evil and promote good, so that within such a stable society the church may be free to worship God, obey his laws and spread his gospel. Conversely, it is the duty of the church to pray for the state, so that its leaders may administer justice and pursue peace, and to add to its intercession thanksgiving, especially for the blessings of good government as a gift of God’s common grace. When the state protects the church and the church prays for the state, everyone lives in peace. Although Christianity no longer enjoys the favor it once did, Americans can still praise God for religious liberty and pray for its preservation. Peace, in turn, aids the worldwide spread of the gospel. This was true during the Roman Empire of the pax Romana, when safe roads sped the first missionaries on their journeys. It was true during the British Empire, when British missionaries spanned the globe. It was true in the American Century, during which missionaries went out from the United States to translate the Bible, evangelize unreached people groups, and plant churches in every nation. Peacetime missions is part of God’s plan for the salvation of the world, so pray for peace.